Sasaki Time: 2011 Year In Review: My Favorite Donut Shops! 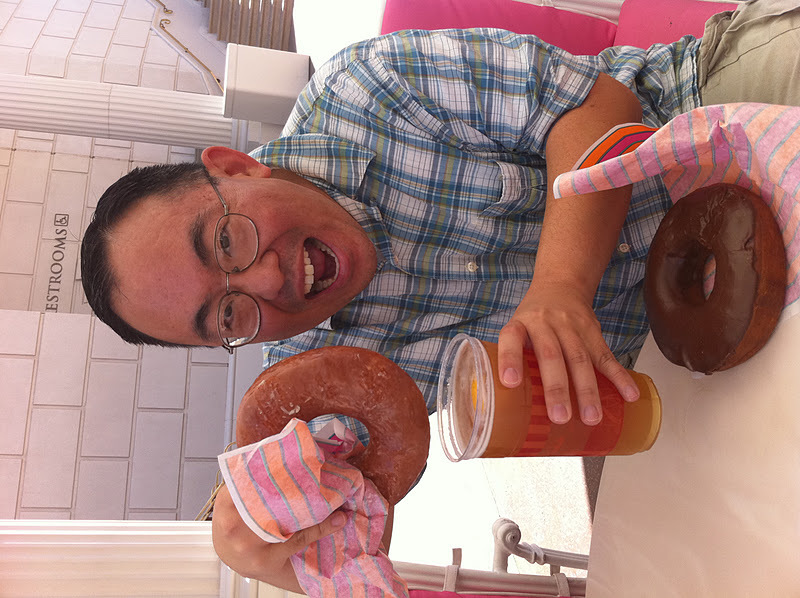 2011 Year In Review: My Favorite Donut Shops! Ok, so the photo is from Serendipity in Vegas but you get the idea! This is a list of my favorite donut places in Southern California that I have discovered this year! Hope you enjoy and visit them if you get a chance! 3. M&M Donuts in Anaheim, known for their blueberry donuts! 2. The Donuttery in Huntington Beach, known for just about everything! Try their maple bacon bars, blueberry donuts, strawberry donuts, pretty much anything! 1. And my favorite donut place, Donut Man, in Glendora! Seriously if donuts and pies had a kid - this place would be it! The donuts are huge and the fruits are fresh! Check out the strawberry donut I am eating! The Ultimate Jello Shot Recipe List! Maleficent Sneak Peek at Disney California Adventure! Amazing Disneyland Easter Egg Creations! A Disney, movie, food and iPhone geek that lives in Orange County! Follow me on my many adventures! Oswald The Lucky Rabbit Giveaway! 2011 Year In Review: My Top Asian Restaurants! 2011 Year In Review: My Favorite Burger Places! Happy Holidays from Sasaki Time! Official Sasaki Time baby clothes! "One More Disney Day" teaser site opens! Elvis Stitch Ornament Flash Giveaway Contest! Looking for some feedback on my giveaways! Walt Disney Pictures Film Slate for 2012! New Year's Eve and California Theme Parks!